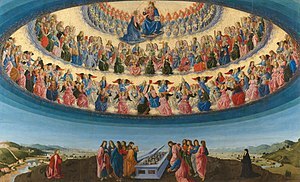 Rosa Celeste: Dante and Beatrice gaze upon the highest Heaven, The Empyrean. 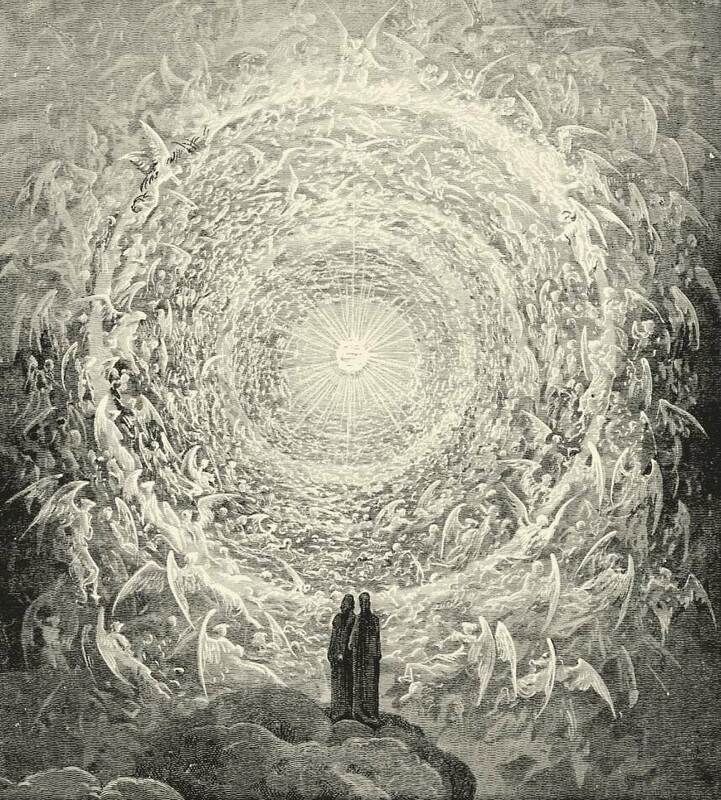 19th century— The angelic choirs circling the abode of God, from Dante’s Paradiso, illustrated by Gustave Doré. I recently posted, “Reality Bites – Let’s Believe in Angels!” where I promised more posts on angels. Well get ready because here they come! This is a typical example of how I forage. I have a question, like “What are the nine choirs of angels?” , I spend hours researching it and now thanks to this blog I can share my results! I try to use reputable references and since this is from a Catholic perspective, they are usually from Catholic sources. And I have tried to link whenever possible so you can read more. Here I am starting with a general explanation, then in upcoming posts, will delve into each separate choir of angels. I hope you find this information as interesting and informative as I have. Per a homily from the late Fr. Thomas Harding, Th.D. (1918-2005): Angels are pure spirits but not simple spirits because they are created and complex. However they are created in the state of maturity, with all their infused ideas. They do not have to grow up and go to school. Each angel is a different species which determines their degree of knowledge and love. In the hierarchy of spirits, God has only one idea with which He knows everything actual and possible. Then the highest angel needs many ideas with which to understand his more limited capacity. In a descending order, each angel needs more ideas than the one just above him. Even the lowest angel is far smarter than the most intelligent humans. Angels have such a superior knowledge and will that they were only given one chance when they were tested. Apparently, they would not have repented and changed their minds. Thus Lucifer said “I will not serve” (Isaiah 14:12) and he and the other fallen angels were cast into hell by St. Michael the Archangel (Apoc. 12:7). They are allowed to roam through the world seeking the ruin of souls. But the name of Jesus is stronger than hell. The good angels continue to serve before the throne of God and they also act as guardian angels. They also have other functions as messengers, defenders and directors of the two hundred billion galaxies in the universe. via The ABC’S of The Basic Theological Teachings: The Meaning of God and His Creatures « Earthpages.org. How do we know there are Nine Choirs of Angels? 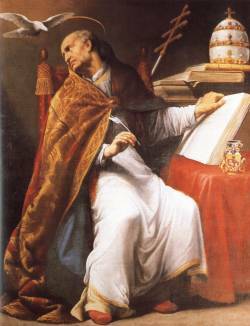 St. Thomas points out that each angel fulfills his own proper office, but as the angels are far above our natural human knowledge, we cannot know of the distinctions among the angels by our own powers. Thus, because our knowledge of the angels is imperfect, we can only distinguish among them in a general way – and hence, we recognize the angels according to the nine choirs. via The New Theological Movement. Bravo, Foraging Squirrel! You have chosen a “wonderful nut” to crack. I love the combination of your blog, “Catholicism”, and “healthy eating”. Food for the soul and food for the body. While somewhat an eccentric combination, it’s a combination that makes perfect sense! Was it Reed to told you to write? Excellent!